Eating food in as close to its natural state as possible helps ensure maximum exposure to youth-enhancing nutrients, many of which are lost during storage, processing, and cooking. It also reduces your exposure to artificial additives used to enhance the flavor, texture, color, and shelf-life of processed foods, from preprepared meals to diet dishes. Keep looking and feeling young and help ward off diseases of aging, from Alzheimer�s to stroke and heart disease, by eating more fruit and vegetables. They are rich in antioxidants, and the biologically active ingredients of plant pigments and flavorings have antiaging properties, too. Aim to eat a minimum of five portions of fruit and vegetables daily and up to nine if you can. A rainbow of colors on the plate ensures you are getting a good intake of plant chemicals. Naturally deep green, yellow, and red foods contain antioxidant carotenoids that boost immunity and offer protection against heart disease, cancer, DNA damage, and age-related sight problems. Include peppers, broccoli, spinach, sweet potatoes, carrots, and pumpkin in your diet, plus extravirgin olive oil to aid absorption. Choose ripe, seasonal fruit and vegetables and grains in their whole form to ensure maximum flavor while retaining vitamins and minerals, antioxidant compounds, and other plant nutrients that are destroyed by processing. The best way to ensure the freshest, most flavorful organic fruit and vegetables is to grow them yourself. Even a city balcony can provide a good supply of tomatoes, salad leaves, herbs, and soft fruit. Plant foods contain such lifeenhancing properties that long-term vegetarians are 20 percent less likely to die prematurely than meat eaters. 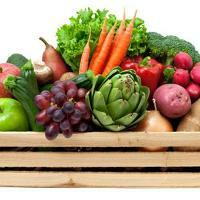 You don�t have to become a vegetarian to reap the benefits. Serve meals with two or three vegetables and salads on the side, and add extra vegetables to dishes such as stir-fries, casseroles, and soups. If your diet majors on slimming foods and processed meals, you might be amazed by the taste of fresh produce. Rediscover the difference by sampling organic carrots and butter, sourcing milk from specialbreed cows and seeking out meat that has been raised and hung well. Rid your kitchen of products such as cookies and potato chips, storebought cakes and pies, margarine, and low-fat foods, all of which have long lists of unwanted ingredients. 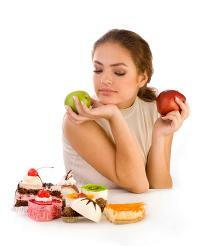 Change the way you think about food and you need never worry about dieting again. Eating mostly fresh, seasonal fare frees you from faddy diets and prevents the yoyoing weight loss and gain that often accompanies dieting (and, dermatologists state, contributes to aged-looking skin). Instead of obsessing over the scales, judge your weight by how well your clothes fit.